Our rooms are spacious, elegantly decorated, and comfortable as you can imagine. Enjoy our many amenities, such as free wireless Internet, flatscreen TVs, fridges and microwaves. Our new, modern Italian restaurant is open for Breakfast, Lunch & Dinner. Nelson is one of BC's premier tourist destinations. From the majestic Selkirk Mountains to the historic heritage buildings, its beauty is unparalleled. Many exciting activities abound near our hotel in Nelson B.C. As the only full-service hotel on Baker Street, the newly renovated Best Western Plus Baker Street Inn is the natural choice for anyone seeking comfortable and convenient accommodations in the heart of the Queen City. Visit our newly renovated and award-winning property and you will see why we continually rank as one of the top hotels in Nelson. We are proud recipients of the TripAdvisor 2015 Certificate of Excellence Award. Stay at the Baker Street Inn and you can relax in an in-room Jacuzzi, dine at the Baker Street Grill, exercise in our fitness centre or unwind in our soothing hot tub after a day on the slopes. Kids stay for free and pets are always welcome at our Nelson hotel, where free wireless Internet and free parking are provided for your convenience. We also offer spacious convention rooms for special events of every occasion. Nelson B.C. showcases British Columbia's most spectacular outdoor attractions, from trout fishing on Kootenay Lake to carving powder at the nearby Whitewater Ski Resort. The Baker Street Inn is your ideal home base for exploring it all. We are even committed to preserving Nelson's natural splendor through sustainable practices that have earned us a Triple Green Key Eco-Rating. 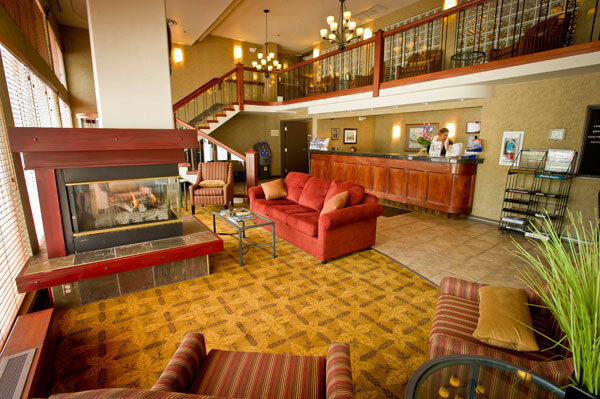 We set the standard for hotels in Nelson, BC with unmatched, quality, service and affordability. Book your Baker Street Inn room today and get started on your journey to one of the most beautiful destinations on the planet.